Dr. Salih al Fawzan (born in 1935) has obtained a PhD in Islamic jurisprudence and has a high profile in teaching jurisprudence. He is a member of many academic institutions including the Board of Senior Ulema, the Permanent Committee for Fatwa and Research. 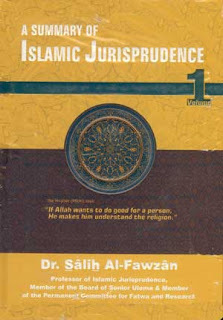 He has written more than sixty published works covering Muslim Creed, Islamic jurisprudence and Muslim’s conduct. This booklet comprehensively covers all four aspects of Belief in Angels; belief in their existence, functions, names and attributes. 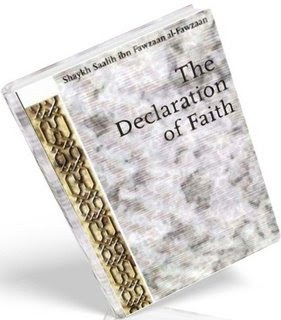 Additionally, important points of Tawheed are highlighted by refuting incorrect understandings, for example the false claims of contemporary grave-worshippers that are similar to those made by the pagan Quraish during the time of Allah’s Messenger. In the course of the booklet, clarification of a number of doubts have also been included such as explaining Qur’aanic verses like, “We are nearer to him than his jugular vein…” This refers to the Angels of Allah and does not indicate that Allah is present amongst His creation. The booklet also compares the likeness in the thinking of those who claim that Prophet (sallallahu alaihi wa-sallam) was created from Nur (i.e., light, which is a characteristic of the Angels) and the mentality of the disbelievers who demanded that an Angel be sent as a Messenger. The latter section of the booklet enumerates characteristics of those fortunate people, on behalf of whom the Angels seek forgiveness and supplicate for their well-being in this world and the Hereafter. It also lists those unfortunate people, against whom the Angels invoke Allah. This part of the book is mainly based upon the book, ‘Fariston ka Darood panewale aur Lanat panewale’ (Urdu) by Dr. Fazl-e-Ilahi. Numerous other original Arabic books were referred to in the compilation of this booklet, mainly; al-Eeman bil-Malaaikah wa-Athruhu fi-Hayatil-Ummah by Shaikh Salih Ibn Fawzan al-Fawzan, Aalam al-Malaai’kah al-Abrar and ar-Rusul war-Risalaat by Shaikh Umar al-Ashqar, beneficial lectures of Shaikh (Dr.) Abdullah al-Farsi, Tafseer Ibn Katheer, Riyadus-Saliheen and others. May Allah make us amongst those who deserve the Salaat of His Angels. All strength and success lies with Him Alone. This is a complete translation of a short treatise called, ‘al-Eemaan bil-Malaa’ikah wa Atharuhu fee Hayaat-il-Ummah’ Although this treatise is short in size, it provides many proofs and evidences for the descriptions, duties and general characterisitics of the angels. I am a teacher of English at the Institute of Islamic Sciences , University of Algiers1 and I find these translations most useful in teaching students of speciality. May Allah Ta’ala grant you the best rewards in this life and the hereafter, and May He enlighten your path forever, Ameen!